An extraordinary, ordinary day in the life of Adam Thorn. Seventeen-year-old, tall, white, blond, evangelical-raised Adam begins his day buying chrysanthemums for his overbearing, guilt-inducing mother. From the get-go, some readers may recognize one of many deliberate, well-placed Virginia Woolf references throughout the narrative. He goes on a long run. He has lunch with his bright, smart-alecky best friend, Angela Darlington, who was born in Korea and adopted by her white parents. In a particularly uncomfortable scene, he is sexually harassed by his boss. He also partakes in a 30-plus–page act of intimacy that leaves little to the imagination with his new boyfriend, Linus, also white. The scene is fairly educational, but it’s also full of laughter, true intimacy, discomfort, mixed feelings, and more that elevate it far beyond pure physicality. Meanwhile, in parallel vignettes, the ghost of a murdered teenage girl armed with more Woolf references eerily haunts the streets and lake where she was killed. Her story permeates the entire narrative and adds a supernatural, creepy context to the otherwise small town. 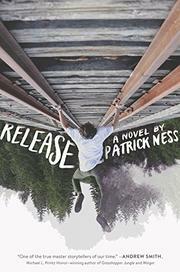 What makes these scenes rise above the mundane is Ness’ ability to drop highly charged emotion bombs in the least expected places and infuse each of them with poignant memories, sharp emotions, and beautifully rendered prose so moving it may cause readers to pause and reflect.